Sometimes we like to annoy you a little, so we put in “fake rockets”. That means the rocket functions as a normal tile. Another way to use rockets is to jump over only one tile by walking onto it from the front. The question you should ask yourself is: When do you use which rocket? It is always very helpful to think backwards – from the last tile to the first. Start with this thought: Which rocket can reach the end tile? 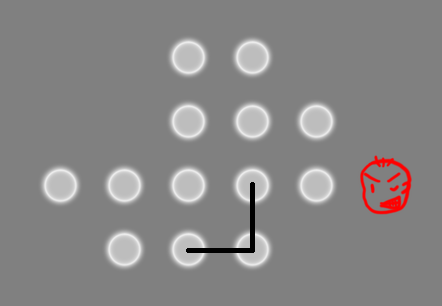 It is obvious that you need to end on the left side, but how do you get there? Remember when we told you about the Chess Pattern? This will help you here, too. 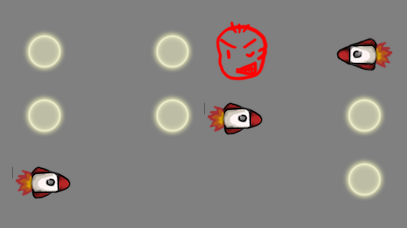 From the lower rocket you cannot reach all the tiles on the right side, but you can with the upper one. So far you got used to clearing whole areas completely before leaving them again. Rockets make it possible to come back. This will be very easy for you now 😉 Have fun with this special tile! This entry was posted on February 17, 2013, in Hint. 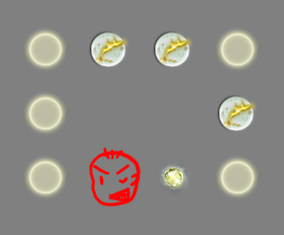 Comets are an evil tile, they destroy some of our arguments for solving levels. But still they are not that difficult. The most important thing to know is, when do you need a path or when don’t you. The yellow tiles complete the way so that you can walk clockwise. This path will be broken if you go to the right at first. 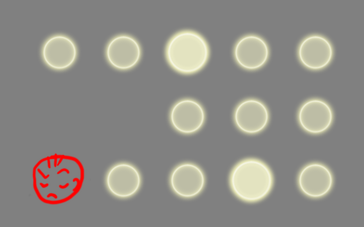 Therefore try to recognize when you need the permanent tiles. This gets a little harder when there are two or more colours. Think about when you do not need the red or yellow permanent tiles any more. 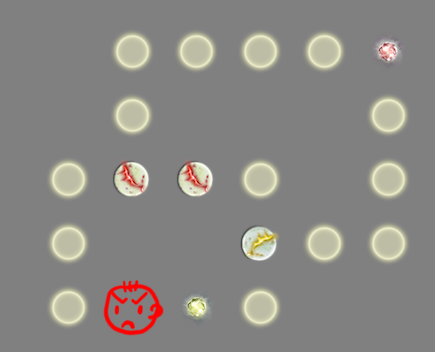 Here you first need to go clockwise, eliminate the red tiles with the red comet and then go on to the yellow tile. 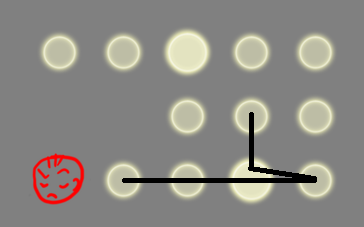 The tile in the middle can be collected from both sides before activating the last comet. The first tiles are no problem. Here the permanent tile can simply be handled as a normal tile to collect the whole region. However the upper part cannot be cleared that easily. 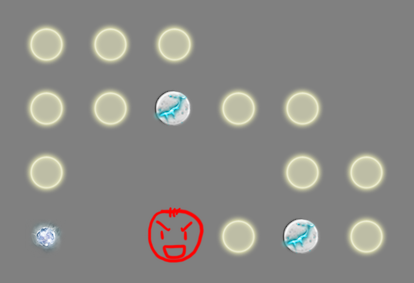 From the permanent tile on you need to either go to the tile on top or left and then proceed until the comet. This entry was posted on February 10, 2013, in Hint. Teleporters can confuse you sometimes because you get lost in the rotation 😉 Here are some small tricks to help you through these levels. Even if the puzzle is big, try to focus: you do not need to solve everything at once. 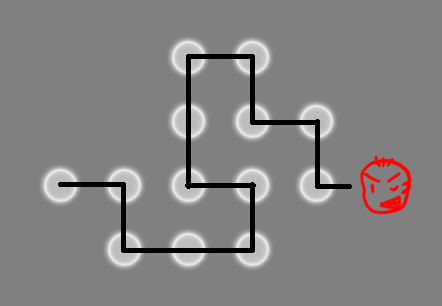 First solve some smaller parts and then find out in which order you should walk through. One question is when to walk into which teleporter. For each colour there are always two teleporters. Which one should you take? 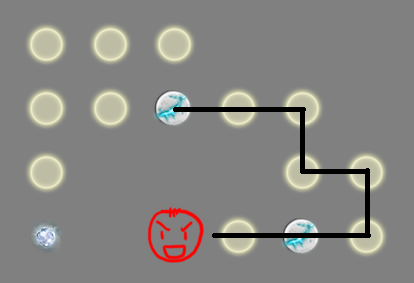 If you first walk into the right blue teleporter, then you will leave one tile behind on the right side. 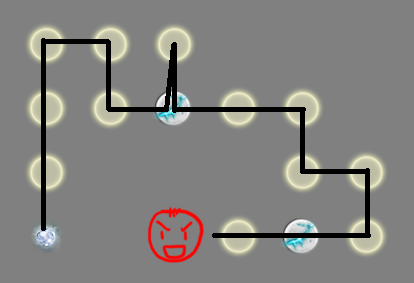 But if you first go upwards, you clear this tile just after walking out of the teleporter. Another question is which coloured teleporter to use in which order – red or yellow? The last tile is the one in the upper left corner. So you need to clear the red and then the yellow one. Then again ask the first question, which red teleporter do you need? 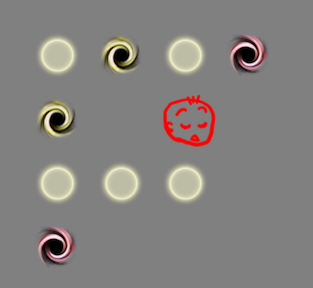 The one on the lower left corner, because otherwise you will leave two tiles behind. Sometimes one forgets the rule that you can walk from a teleporter directlly into another. Now, can you solve this puzzle? This entry was posted on February 3, 2013, in Hint. Where should you end? 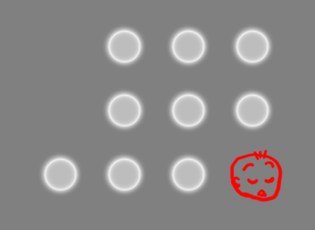 Ii will help, if you start counting the entrance and exit fields onto the 2- and 3-tile. You need to walk over these 2+3 = 5 times. 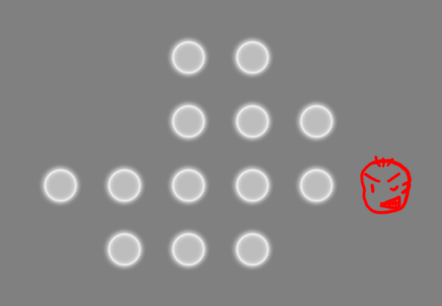 The surrounding tiles are exactly 5 as well, which means that you will either have to end on the 2- or the 3-tile. There is simply no other way out of this tile group. 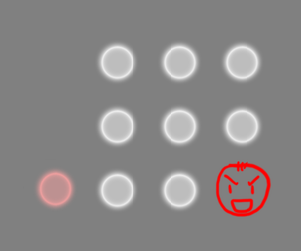 This argument is more difficult to spot in a big puzzle, but the patterns are often the same and soon you will be able to see them easily 🙂 Have fun finding these combinations! This entry was posted on January 27, 2013, in Hint. The last tile is the one on the very left. The great thing about knowing this is that now we can easily find the rest of the path. The concept is that every time you enter a tile, you also have to leave it again (except if it is the last one). 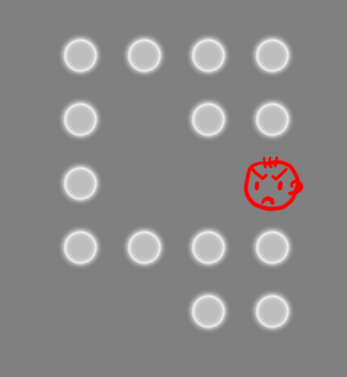 As soon as you found the last tile, you also know which tiles are NOT the last one. Now watch out for the ones that only have one possibility to cross. We call them corners, because most of the time they are just that. Now try it on your own. What are the next steps? Where are more corners? You can solve the whole puzzle only with this argument. It will also help with many of our other puzzles. This entry was posted on January 20, 2013, in Hint. 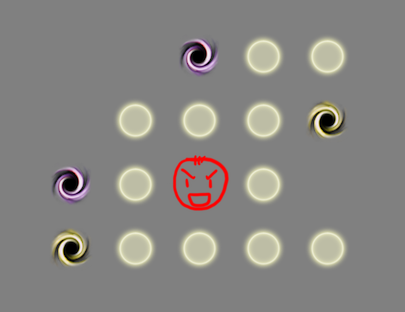 We know that our game is fun to play because it is quite challenging. To help you keeping up that fun, we thought we could give you some hints. We are not going to tell you the exact solution of each puzzle, but we will teach you the general strategies to solve every puzzle. This week we’ll start with the end: the last tile. In most cases it is not that simple. Have a look at the next example. The left part is clear, you just have to walk the line. But at the beginning you have two paths that you can choose. Which one is it – up or down? Have a closer look at these two options. 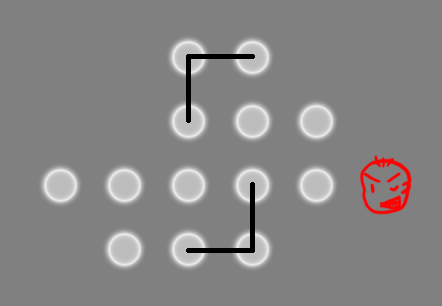 In both cases – up and down – there are four tiles and a path out of that region. 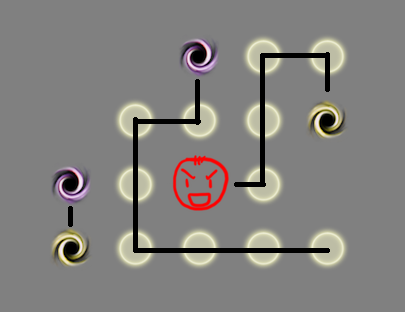 However this is not enough, you also need to be able to reach this exit in order to clear the rest of the level. 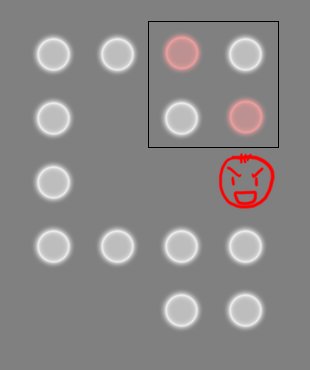 But how can you find out whether it is possible to leave a group of tiles again? 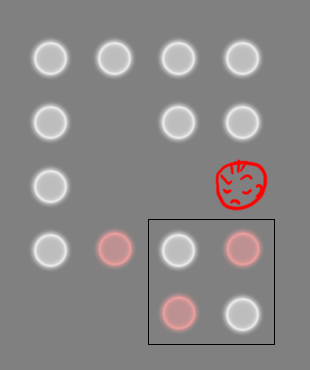 As you can only walk horizontally or vertically, you can imagine a colouring of the tiles like on a chess board (here marked in white and red). 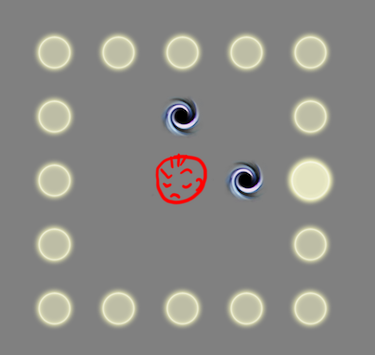 Every move of the star (or red head ;)) can only be from a white to a red tile or vice verca. 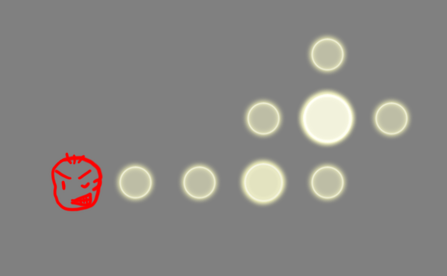 On the way down you have two red and two white tiles and you enter on a red one. As the number of tiles is even, you can only exit on a red tile. 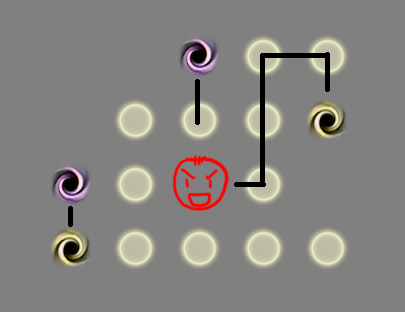 That means you can clear this region easily without leaving any tiles behind. If you walk upwards there are two red an two white tiles again and you still start on a red one. 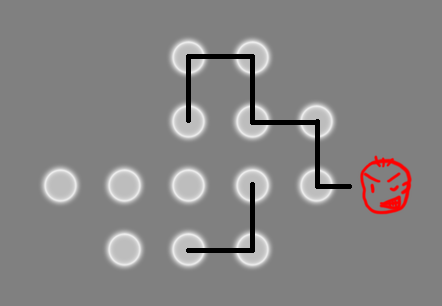 That means if you ever enter this region and want to get all the light, you will have to stop on a white one. 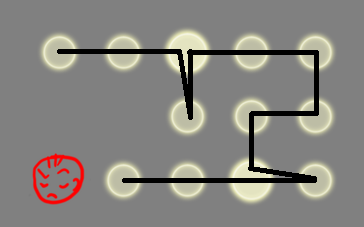 In conclusion, you first need to go down, then left, up and finally clear the upper right area. This entry was posted on January 13, 2013, in Hint.